“Let’s go on an adventure!” is a phrase I used many times parenting my daughter and son when they were younger. It usually got a quick and positive response—until one day it didn’t. A day they were older and responded that a trip to a local home improvement store was not an adventure—that day it was bait to get them in the car. I had been so intentional about creating simple “adventures” where there would be opportunities for exploration, discovery, and building life skills. That day, I had abandoned keeping the word adventure for adventure. Just one of the many parenting lessons my children, now turning 24 and 21, have taught me. Enjoy experiencing and defining adventure with yours! The whole world is an adventure for infants and toddlers! New people, new smells, new textures, new colors, new sounds, new tastes. Every day is full of natural adventure and they are soaking it in as their brains rapidly develop. Savor moments of exploration in nature. Six square feet of a grassy lawn or sandy beach can be adventure space for your child. Observe and enjoy! Take your child for an adventure in a carrier or stroller while you bike or hike. Talk to them, sing to them, and point to what you see and hear in God’s world. Soon they will be doing the same to you. As your child starts to recognize colors, numbers, and letters, plan a trip to a local destination with landmarks they can find along the way. My son still remembers a car ride to the Minnesota Zoo more than the animals. During the drive, I asked the kids to search for brown road signs with the letters ZOO. They became my navigators as we adventured to a new part of town, no smartphone or GPS needed. After exploring a local park or garden, invite kids to select which new path to take. 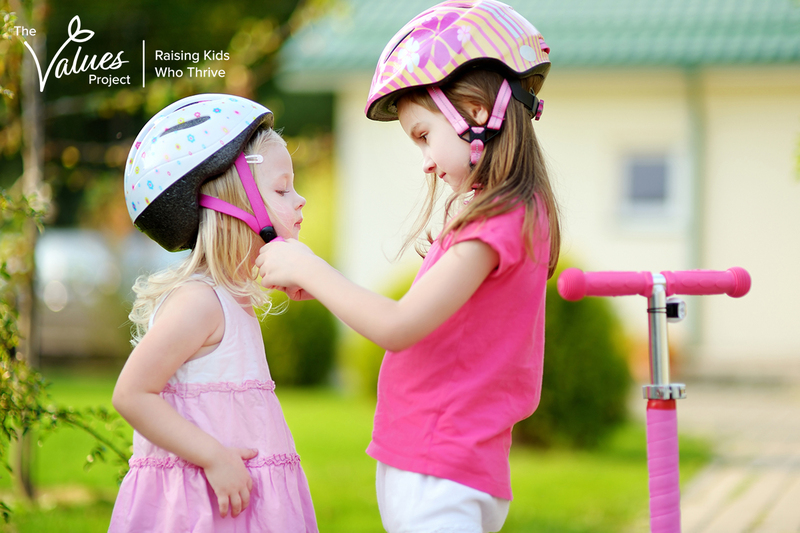 Support your child’s beginning steps of self-guided adventure safely and confidently. Take adventures up notch by notch to widen kids’ range and build new skills. A friend and I took our kids to the opening day of the light rail. The adults drove the car and brought the snacks, but we gave the kids the challenge to direct us from point A (home), to point B (Mall of America), and C (stadium downtown), and back again. This adventure involved map and sign reading, giving verbal directions, getting tickets from a machine, listening to the conductor, staying together, and lots of patience. The kids were the leaders and moms followed. We assured them that if we thought we might be headed the wrong way, we would stop and ask them simple questions. They all discovered they could work together, be successful, and have fun including running all the way around the outside of the stadium before getting back on the train. Encourage and celebrate your child’s leadership in adventures. I love adventures big and small—and they don’t include trips to the local home improvement store. I always have a list of potential adventures in my head. Most include places to hike, bike, walk, paddle, or travel. They usually include being outdoors and giving myself permission to prioritize self-care over work or home tasks. Last fall my husband and I participated in a multi-stop event where we could only travel via mass transit or foot around St. Paul. After 25 years of marriage, it is among our favorite adventures and we look forward to more with and without our kids. Thank you, God, for creating a wonderful world for adventure! Thank you for my children helping me to realize and commit to keeping the word adventure for adventure.